Last night sucked. The real world was a confusing pile of rotten politics and horrible tragedy. I needed to find some strength. As it turns out, it was right at my finger tips. 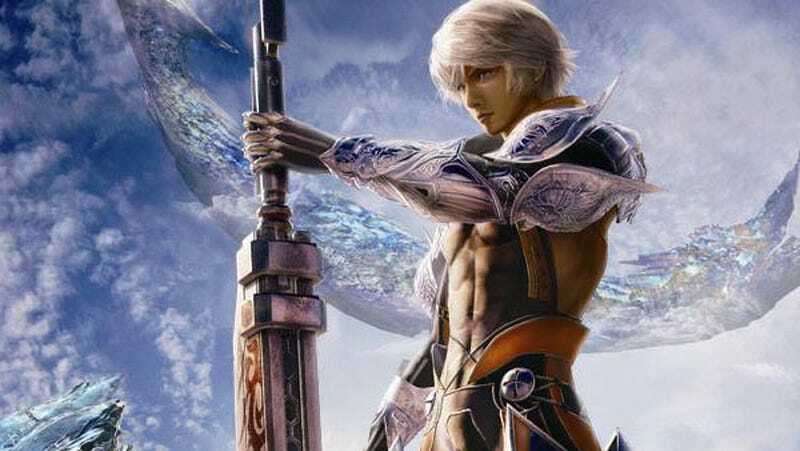 Mobius Final Fantasy’s multiplayer let me stare down a monster and, with others by my side, fight back and win. Mobius Final Fantasy is a mobile RPG game playable on iOS and Android. It finally saw an international release last month. I’d never considered the possibility of multiplayer gaming on my phone. Having grown up in an era of Game Boys and Game Gears, I’m sometimes still amazed that I can play games on handheld devices that aren’t the size of cinder blocks. But as I booted up Mobius Final Fantasy for a little bit of late night distraction, the welcome screen boasted of a multiplayer challenge. Fight Ifrit, the dangerous fire summon from the series’ history. Combat in Mobius Final Fantasy is strange. Whereas a game like Final Fantasy Record Keeper offers the familiar active time battle system that the series is well known for, Mobius is far more esoteric. You construct card decks for specific jobs. Jobs can only use certain cards and to use them in battle, you have to collect orbs through normal attacks first. Enough orbs, you can play the card, and use a spell. It’s pretty daunting but I decided to try the multiplayer anyway. I primarily play as a Dark Knight in Mobius. In the single player, I’m pretty strong but I was entirely outclassed here. I was the team’s weak link. My attacks didn’t hit too strong and I didn’t have nearly as much HP as my comrades. What I did have was access to a barrier spell that could keep us all safe. I mostly held back, attacking when I could and casting my spell to keep the team protected. You have thirty minutes to defeat Ifrit. We finishes with just under four minutes remaining. But we did finish. That’s the important thing. Even as Ifrit summoned hellfire and brought us to the brink of defeat, we pushed back and managed to find victory. I was amazed by how seamless the experience was; each round of combat progressed smoothly and there were never any major connection issues. It was just us and Ifrit. Four strangers against something we could not defeat alone. We fought together and won. Last night sucked. It sucked in ways that I lack the ability or eloquence to describe. I couldn’t fall asleep because of how upset I was. So I randomly chose a mobile game to play for a little bit. I wasn’t consciously looking for escape or distraction. I just needed to do something other than lay in bed. Instead of staring at the ceiling, I fought and bested a digital demon. A small victory in the grand scheme of things. But I did manage to finally get to sleep afterwards. Because sometimes even the small victories, aren’t.